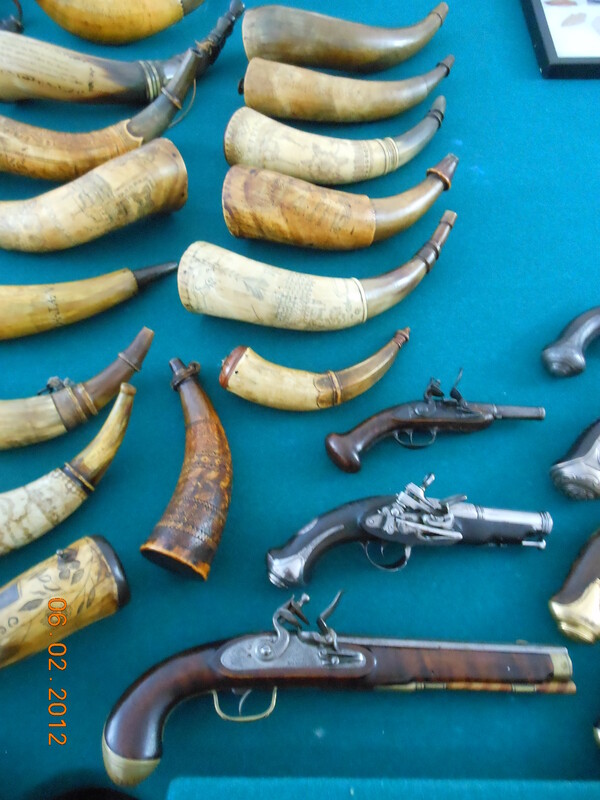 The collection began in the mid 1970’s with a few powder flasks and plain horns. 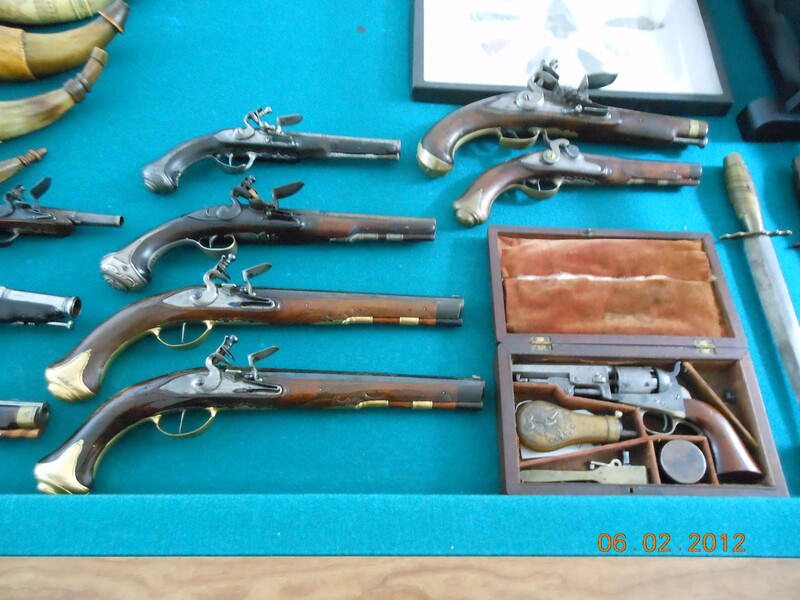 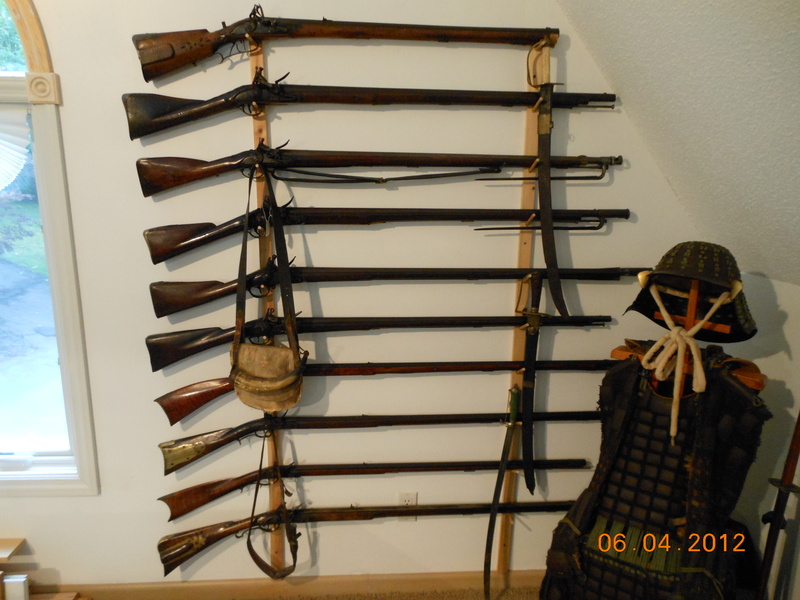 Soon a few rifles were added along with some flintlock pistols. 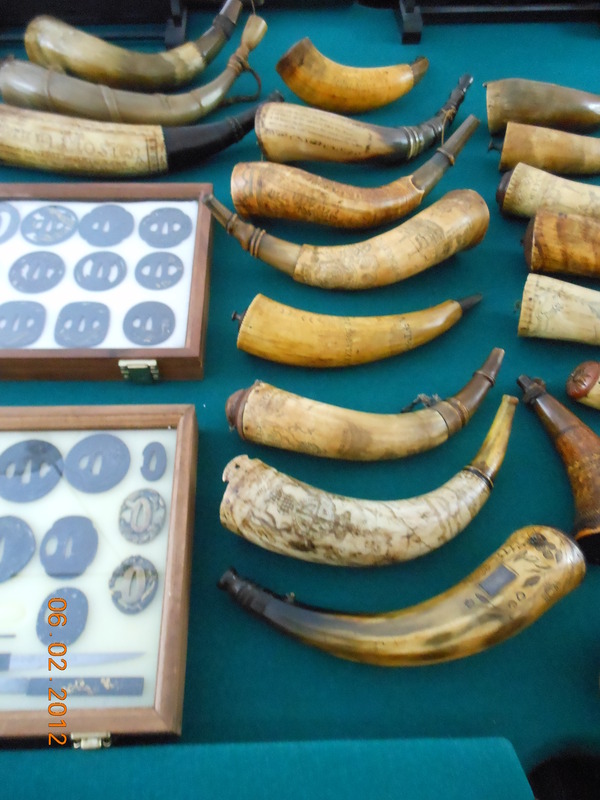 As the years went by Rich was able to find some nice engraved horns and continued to add to the collection. 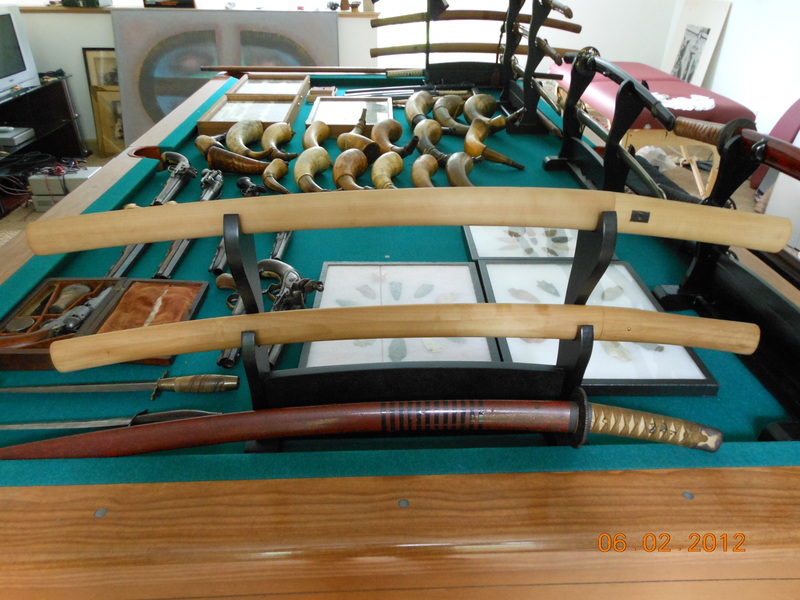 During the entire time building the collection, Rich spent a lot of time researching the items history, provenance and if known, the original owners information. 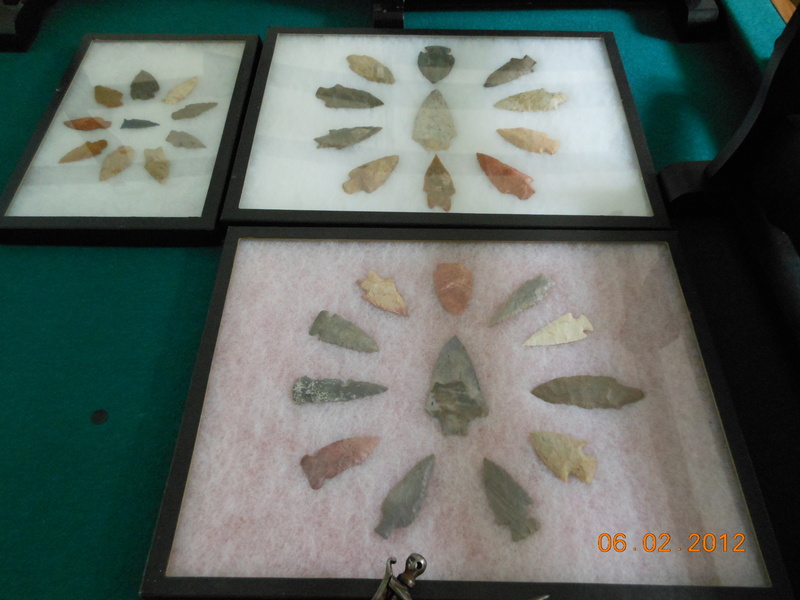 Many interactions with antique dealers such as George C, Neumann, Norm Flayderman, Bill Guthman, Avis and Rockwell Gardiner and others helped Rich become more knowledgeable about the history of each category in the collection and how to determine it’s authenticity. 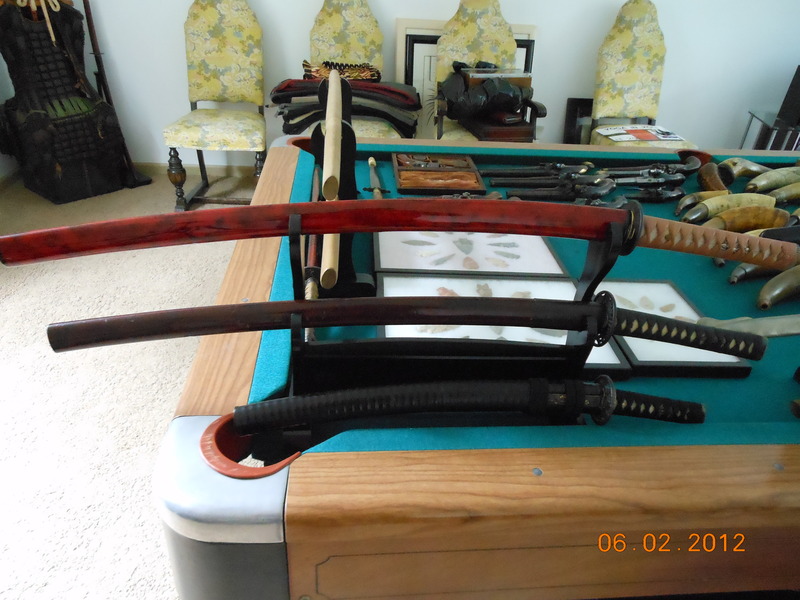 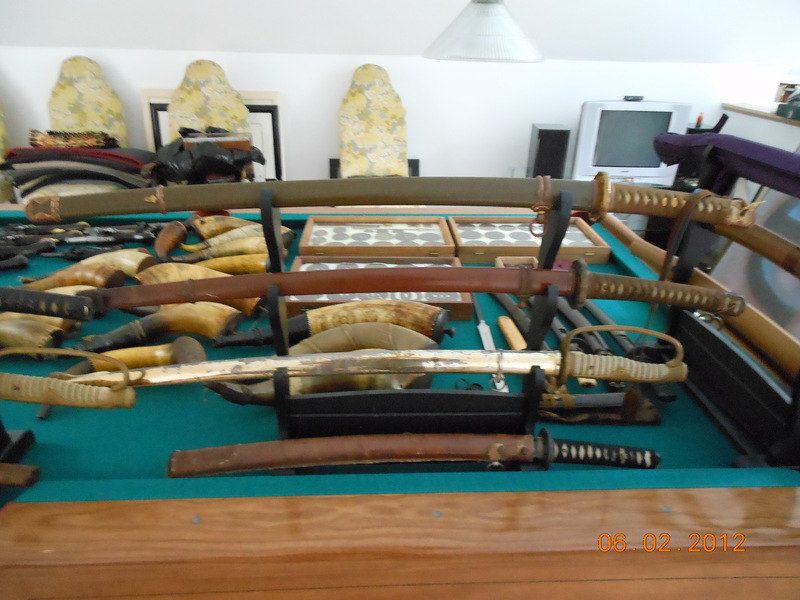 During one visit to a gun show, Rich’s son, Jason, asked him why he didn’t collect Japanese Samurai swords and that sparked another interest that remains to this day. 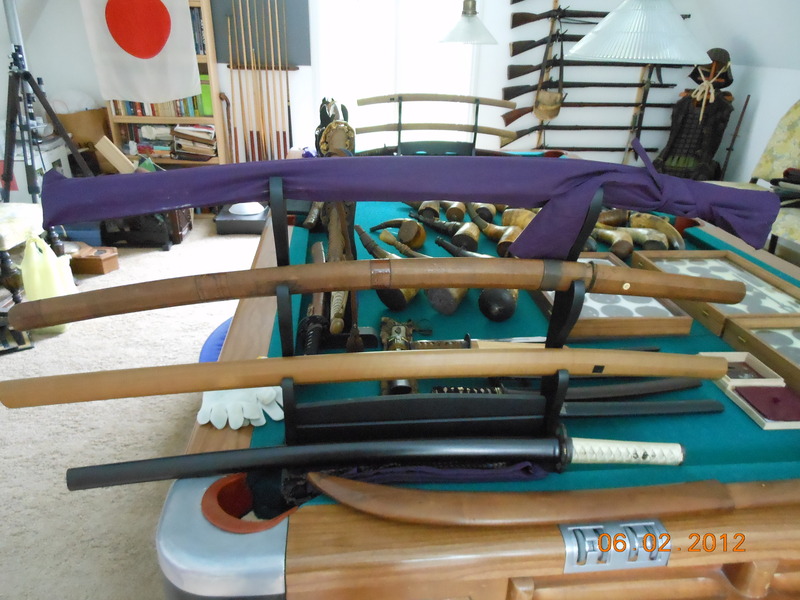 Rich began to study and learn about the Japanese sword, how it was made, it’s use throughout Japan’s history and the many schools, makers and warriors that yielded them into battle. 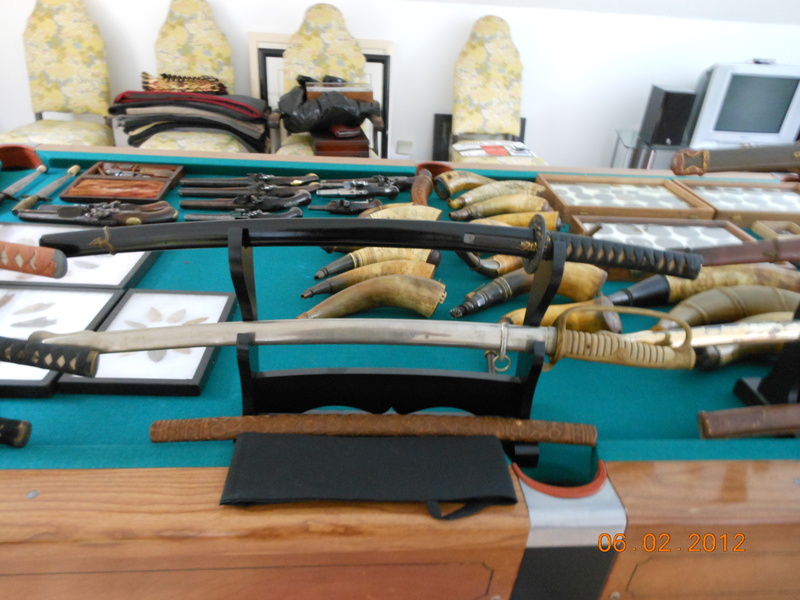 The collection now includes Japanese armor, swords, tsuba’s ( sword guards ) and other fittings and accessories.